Can you think of a little princess who wouldn’t love this? This easy DIY edible sugar glitter is the perfect way to add some serious sparkle to your next princess party or special event. Made from two ingredients, this literal sugarcoat can be sprinkled onto cupcakes, cakes, cookies, and more. And the best part is it’s easy and perfect for just about any occasion. Pour 1/2 cup sugar into bowl. Add 1 teaspoon food coloring and stir until all of the sugar is colored. Spread mixture onto a baking pan lined with parchment paper or aluminum foil. Bake for 5 mins. Then, open the oven and break up the newly formed chunks of sugar. 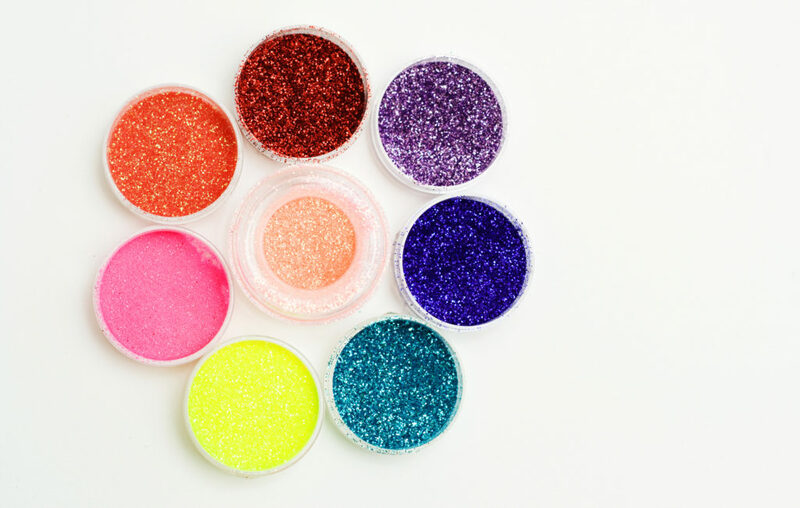 Take baking pan out of the oven and store glitter in a jar or use immediately.